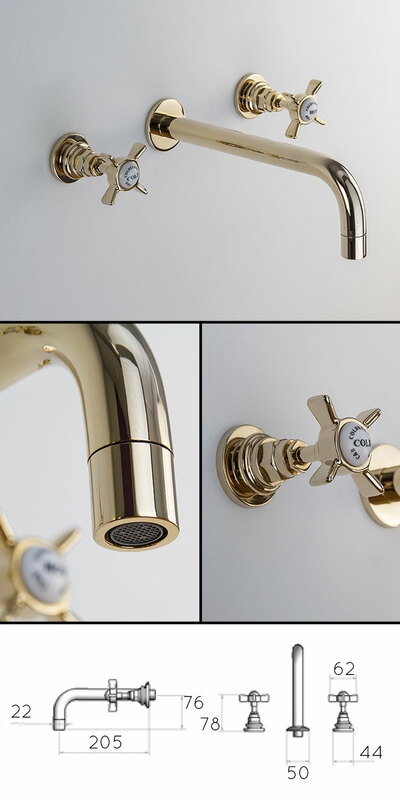 We have just launched this collection of gold bathroom fittings to cover the re-newed interest in gold taps in bathroom design. 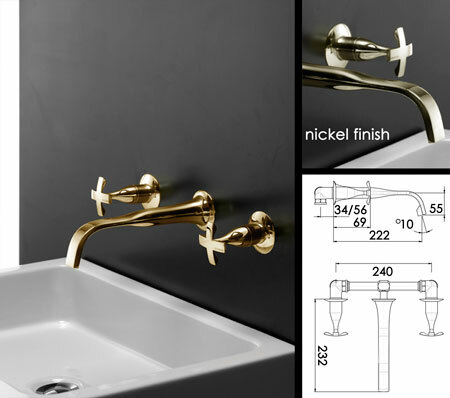 Classically contemporary 3 piece wall mounted gold basin taps that are equally at home in traditional bathroom settings. Click on PDF downloads below for further information. * Gold on solid brass construction. * Polished nickel finish also available. * Taps supplied to special order. * Allow 4 weeks for delivery.